The Orthodox Church views salvation as a many-splendored jewel. 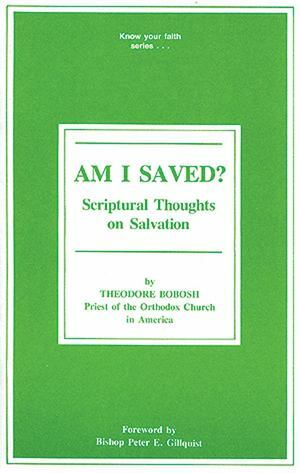 The author, a prolific writer and priest of the OCA, examines salvation in all of its glorious aspects: As History (I am saved), A Process (I am being saved), A Future (I will be saved), As Faith, As the Incarnation, As Repentance and Rebirth, As Death and Resurrection, etc. The question, Am I Saved? is thus answered in all its Orthodox fullness. 3rd printing.